What kind of website are you looking for? A personal blog, professional site, website builder or eCommerce? Are you a technical person? Do you need help with installations? Are you going to be selling online or uploading numerous videos? Are you looking for a reliable daily backup services? Do you need a dedicated server for your business? Whether you’re planning to start a personal blog or looking for a reliable server for your eCommerce business, you’ll require a hosting company like us that can make it possible. We make sure that your website is optimized for maximum uptime, responsive design and quickly accessible from anywhere. In addition, features such as backup solution, cloud hosting and security options are available. 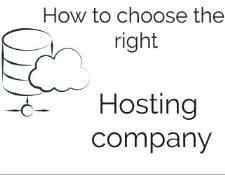 Learn more about our Hosting services for your small business.